Oscar Niemeyer was born in Rio de Janeiro, Brazil, on the 15th December 1907. Oscar Niemeyer graduated from the Escola Nacional de Belas Artes in Rio de Janeiro in 1934. At this time Oscar Niemeyer joined a team of Brazilian architects collaborating with Le Corbusier on a new Ministry of Education and Health in Rio de Janeiro. Oscar Niemeyer worked with Lucio Costa and Le Corbusier till 1938 on this project. 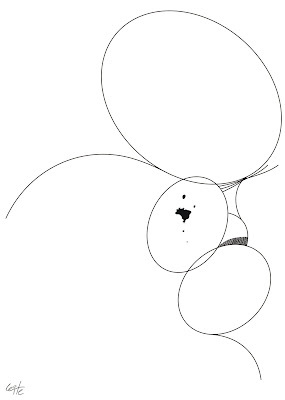 The corbusian influence is evident in the early works of Oscar Niemeyer. However, the architect gradually acguired his own style: the lightness of the curved forms created spaces that transformed the architectural scheme into something that was hitherto unknown; harmony, grace and elegance are the adjectives that are most appropriate to describe the work of Oscar Niemeyer. The adaptations produced by the architect to connect the baroque vocabulary with modernist architecture made possible formal experiences in spectacular volumes, executed by famous mathematicians including the Brazilian Joaquim Cardoso and the Italian Pier Luigi Nervi. The architecture of Brasilia, glimpsed in the sketches submitted by Lucio Costa for the international design contest for the new capital of Brazil, was the result of Oscar Niemeyer 's definitive impetus on the scene of the international history of contemporary architecture. The concave and convex domes of the National Congress and the columns of the Alvorada and Planalto palaces and the Supreme Court are highly original features. Combining these with the spectacular forms of the columns of the Cathedral and the palaces of Itamaraty and Justica, Oscar Niemeyer succeeded in closing the rectangular and symmetrical perspective formed by the repetition of the Esplanada and Ministry buildings. The use of reinforced concrete to form curves or as a shell and the unique use of the aesthetic possibilities of the straight line were translated into factories, skyscrapers, exhibition centres, residential areas, theatres, temples, head office buildings for public and private sector companies, universities, clubs, hospitals and buildings for various social schemes. Of these, the following are worthy of special mention: the Obra do Berco and residence on the Estrada das Canoas in Rio de Janeiro; The Duchen factory, the Copan building and Ibirapuera Park in Sao Paulo; the Pampulha architectural complex including a casino, restaurant and the Temple of St. Francis of Assisi, in Belo Horizonte; the design for the Hotel de Ouro Preto in Minas Gerais, the Caracas Museum in Venezuela, the headquarters building of the Communist Party in Paris, the head office of Editora Mondatori in Milan, the Constantine University in Algeria and the Niteroi Museum of Contemporary Art, Rio de Janeiro.The constant presence, of Oscar Niemeyer on the scene of international contemporary architecture from 1936 until the present time, has transformed him into a symbol of Brazil. Oscar Niemeyer has received numerous prizes and is the owner of a vast library containing books written by him and also by Stamo Papadaki, as well as editions of early editions of magazines on French and Italian architecture.While working on this project Oscar Niemeyer met the mayor of Brazil's wealthiest central state, Juscelino Kubitschek, who would later becom President of Brazil. As President, he appointed Oscar Niemeyer to be the chief architect of Brasilia, a project which occupied all of his time for many years. In 1939 Oscar Niemeyer and Costa designed the Brazilian pavilion at the New York World Fair. The series of buildings Oscar Niemeyer created till 1942 were heavily influenced by the Brazilian baroque style in architecture. Although associated primarily with his major masterpiece, Brasilia, the capital city of Brazil, Oscar Niemeyer had achieved early recognition from one of his mentors, Le Corbusier, going on to collaborate with him on one of the most important symbolic structures in the world, the United Nations Headquarters in New York. In the 1950's, Oscar Niemeyer designed an Aeronautical Research Center near Sao Paulo. In Europe, Oscar Niemeyer did an office building for Renault and in Italy, the Mondadori Editorial Office in Milan and the FATA Office Building in Turin. In Algiers, Oscar Niemeyer designed the Zoological Gardens, the University of Constantine, and the Foreign Office. From 1957 till 1959 Oscar Niemeyer was appointed architectural advisor to Nova Cap- an organisation charged with implenting Luis Costa's plans for Brazil's new capitol. 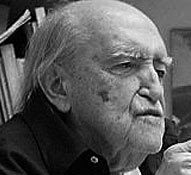 The following year Oscar Niemeyer become Nova Cap's chief architect, designing most of the city's important buildings. The epoch of Niemeyers career, these buildings mark a period of creativity on modern symbolism. VÍ ESTA CARICATURA EN EL CONCURSO FABRICARICA Y REALMENTE ME AGRADÓ. SUERTE EN DICHO EVENTO ARTÍSTICO. PERMÍTEME TENERTE COMO LINK EN MI BLOG.